A form of axehead where the body is hollow allowing for insertion of the wooden handle. The axehead itself is usually copper alloy or iron. 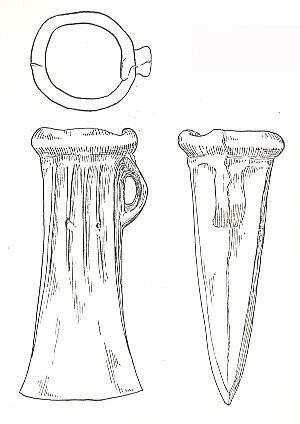 This type of axe usually dates to the Late Bronze Age or Iron Age. Most examples feature a side loop to help attach the handle to the axehead.